The nuclear agreement announced by the Obama Administration today is a dangerous, deeply flawed, and short sighted deal. A comprehensive agreement should require Iran to verifiably abandon – not simply delay – its pursuit of a nuclear weapons capability. Based on initial reports and analysis, it appears this agreement does not “cut off all of Iran’s pathways to a nuclear weapon” – in fact, over time it paves Iran’s path to a bomb. Most of the key restrictions last for only 10 to 15 years. Even before the deal expires, it could allow Iran to develop an industrial-scale enrichment program and continue its R&D on advanced centrifuges and development of an ICBM. 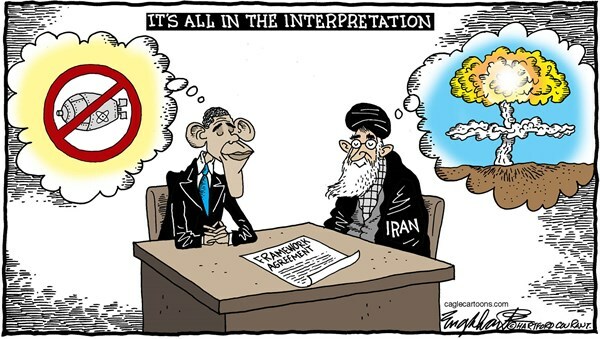 The deal does not require Iran to come completely clean up front about possible military dimensions of its nuclear program or include true anytime/anywhere inspections necessary for a nuclear program shrouded in deception and lies. President Obama has acknowledged the agreement would end the United Nations’ conventional arms embargo, a critical tool to combat Iran’s support for terrorism and destabilizing activities in the region. The deal would provide more than $100 billion in sanctions relief that will breathe new life into Iran’s malevolent and corrupt regime, enabling its projection of terror and power as well as its repression of the Iranian people – who aspire for, and deserve, a more democratic future. The clerical leaders in Tehran routinely preach “death to America” and “death to Israel” – and through their acts of terror, they mean it. We must take these threats seriously and should not base any agreements on the hope their behavior will moderate over time. The people of Iran, the region, Israel, America, and the world deserve better than a deal that consolidates the grip on power of the violent revolutionary clerics who rule Tehran with an iron fist. This isn’t diplomacy – it is appeasement.